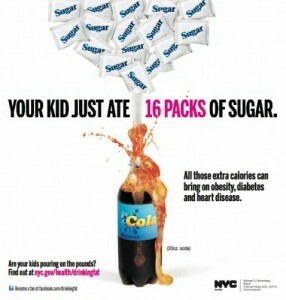 Are You Diabeating Your Kids? We all know beating kids is wrong. In fact, parents beating kids is child abuse and can often result in children being taken away from the parents and put in to care for their own safety. Should diabeating kids be treated the same way? 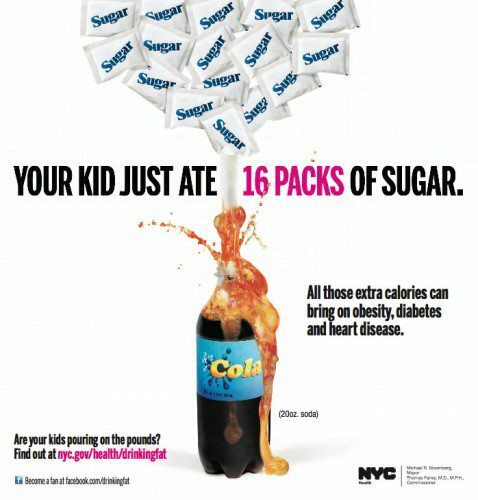 “When parents feed their young children, who do not know better or aren’t given any healthy options, pure crap, resulting in juvenile onset diabetes. This should be considered child abuse”. “Mom to already obese kid: Now what do you want for dinner? McDonald’s, KFC, or Pizza Hut? Obese Kid:We already had Pizza Hut for breakfast, and KFC for lunch, so let’s go to McDonald’s! Mom to already obese kid: Ok, well get whatever you like sweetie! Obese Kid: I want two double bacon cheese burgers, a large chocolate shake, and a large Coke. Mom: Are you sure that’s enough honey? Mom to Drive-Thru Attendant: He’s going to need more than that, make that 4 double bacon cheeseburgers, and a large fry, large milkshake, and large Coke. Britain faces a 70 per cent rise in childhood diabetes because of lifestyle changes – including unhealthy eating and a rise in Caesarean births. Cases among the under fives are forecast to rise the fastest, more than doubling by 2020, if trends continue. Previous research has also shown that children delivered by c-section are 20 per cent more likely to develop the disease as other children. Researchers believe that a natural delivery can expose children to bacteria which helps the development of their immune systems. About 250,000 people in Britain suffer from Type 1 diabetes, caused when cells in the body stop producing enough insulin. Type 2 diabetes, the most common form of the disease, is caused mainly by the body becoming less sensitive to insulin. Social changes including a rise in obesity have led to increasing numbers of patients being diagnosed with Type 2 diabetes, and numbers are predicted to spiral from 2.3 million people to more than 4 million by 2025. But the new study warns that numbers of cases of Type 1, the most common form in children, could also mushroom. With obese children as young as two years old at risk of heart disease it is not just diabetes to worry about! Who is responsible for childhood obesity? More and more children in the UK are becoming obese. Data from the annual Health Survey for England back in 2004 showed levels of obesity among children had risen over the previous ten years and I have absolutely no doubt this is a continuing trend. In 2004, around one in four 11 to 15 year olds were considered obese and obesity prevalence in boys and girls aged as young as 2 years old had increased. Who is responsible for the rise in childhood obesity? Parents? Schools? The government? Food companies? Personally I am not sure the blame can be laid in any one place, but instead feel there are multiple factors that contribute. How do we fix the problem and stop diabeating our kids? I think Jamie Oliver gave one of the key answers in the title of his TED speech Teach every child about food and fight obesity. In a world where the population is eating more and more processed and pre-packaged foods few adults, let alone children, truly understand what they are eating. Education about food is key to addressing not just obesity but so many of the diseases that are restricting and ending lives.